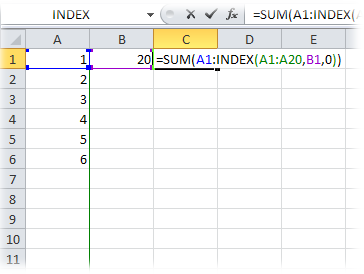 If you’ve ever used any of these formulae, you may have noticed that whenever you change a cell, or collapse/expand a data grouping, Excel recalculates. 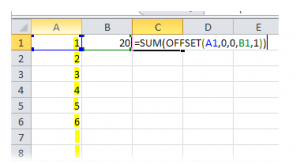 That is because these are VOLATILE formulae, as soon as you use one of these, Excel will enter a mode where everything is always recalculating, and for good reason. Offset & Now are the formulae we see used most often. Let’s look at each of these in turn and talk about some alternate approaches to avoid this issue. 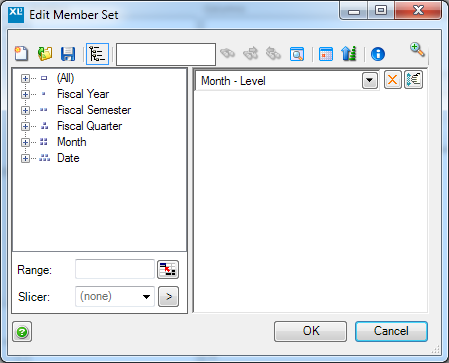 A very simple spreadsheet – we can type the number of months to display in the chart. 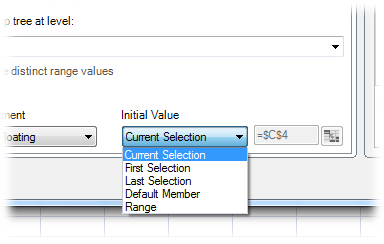 In reality the number of months to display will probably be driven by the data available for the criteria selected. The screenshot already shows the issue we have – the chart is setup to display a max of 12 months, but we only have 3 months of data available. 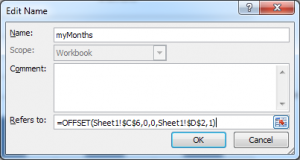 BUT we have now used a volatile formula – although this is a simple workbook, we are now in a position where Excel is going to have to recalculate everything all the time. 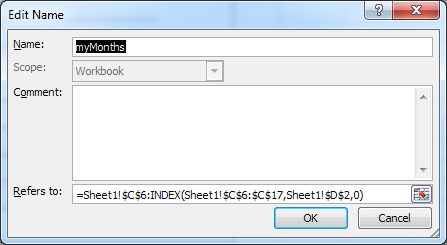 It’s probably a good time to look at why Excel is going to do that. Let’s have a look at very simple formula to understand how Excel recalculates things. We can see that C1 is dependent upon A1 & B1 – so whenever a value in either of these cells changes C1 will need to be recalculated to show the correct answer. 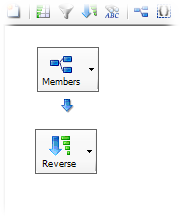 Excel knows about this dependency because it maintains a dependency tree; it knows which cells need to be recalculated whenever any other cell changes. 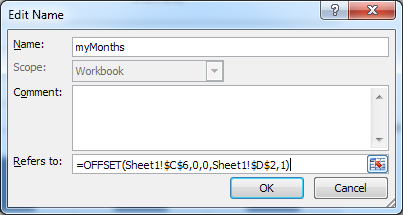 This is a very efficient way of working, if a workbook has thousands of formula, but only one values changes, and this only needs 10 of these formula to recalculate, then only 10 will be calculated. Which cells is C1 dependent upon? At a glance you could say A1 & B1. 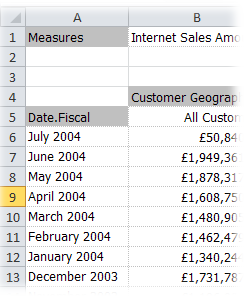 Just as we can’t see at a glance which cells C1 needs – Excel also can’t easily decide that. 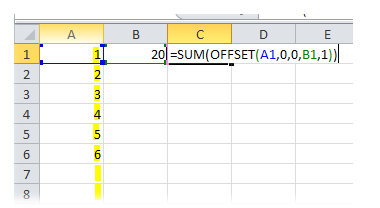 Therefore, Offset is volatile because, if it wasn’t then there is a danger that Excel would take so long to work out if it needs to be calculated that it might as well always calculate it. With the grid set to “Refresh on Open” we know that A6 will always have the most recent date available in the cube and can base the rest of the report off that cell.